One of the best moments is when Kate and Clint are playing video games at Deadpool’s safe house. The first shot of Kate and Clint is drawn wondrously from a creative angle, and I like the small touches such as exposed brick on the peeling walls and the rips in the couch. Matteo Lolli, Jacopo Camagni, and Cristiane Peter do a great job with the whole issue. 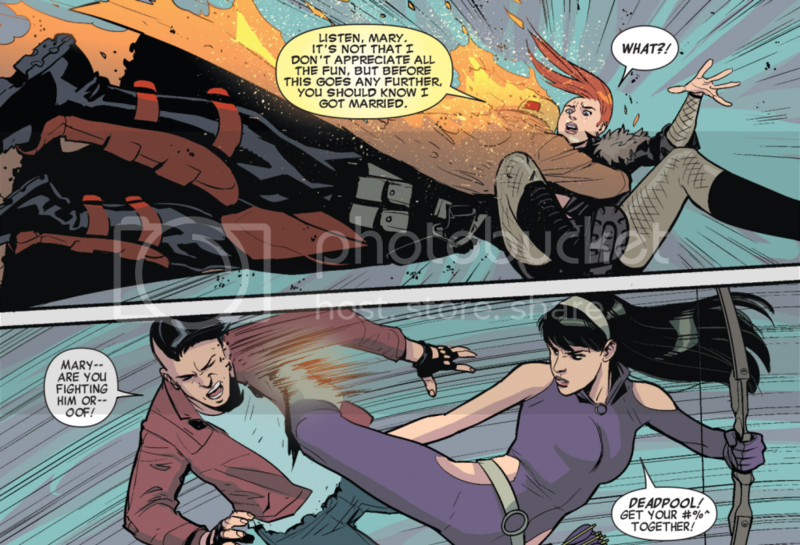 I like the visual energy when Kate and Deadpool fight Typhoid Mary and Ivan, with the panel backgrounds streaked with motion lines and light blue and purple washes. The artists give Kate, Black Cat, and Typhoid Mary sleek, sophisticated outfits; it’s cool to see the artists expanding Black Cat’s wardrobe by drawing her with a more understated outfit than her typical depictions. 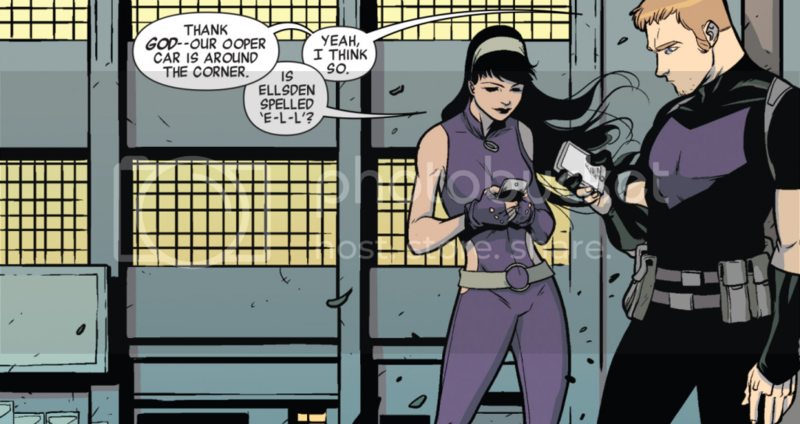 Any comic where Kate and Clint spend time together usually makes for a great comic, and this issue certainly has a lot to love. 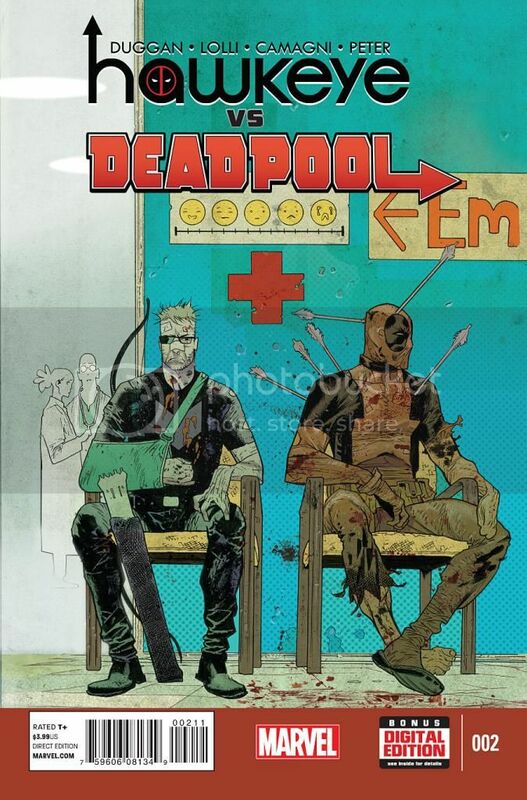 Deadpool thankfully does not ramble as much as I was dreading. Lolli, Camgni, and Peter draw great action sequences; Kate kicking looks particularly fierce. Duggan is having fun writing this mini-mystery, and the inclusion of Kate, Black Cat, and Typhoid Mary has infused it with significant doses of energy and personality.